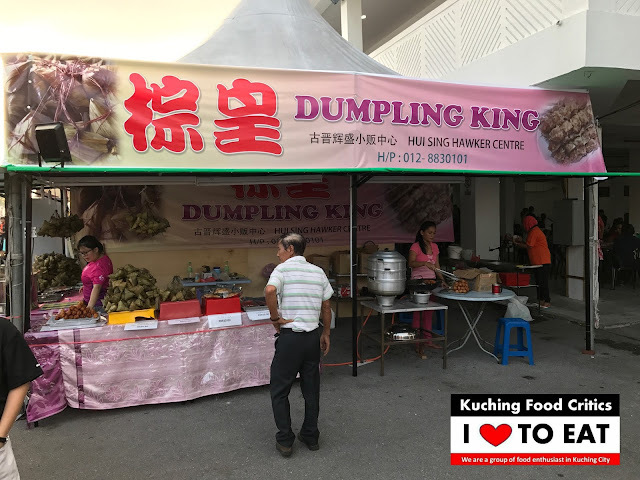 From 28th July 2017 till 20th August 2017 from 4.00pm till 11.00pm.
" 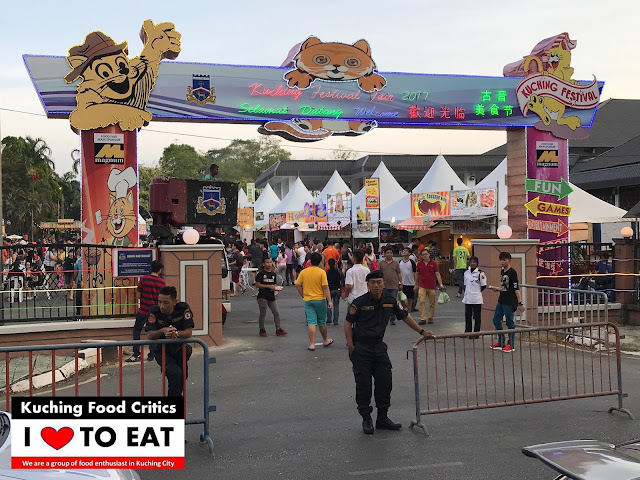 Overall Food Stalls "
Front view of Kuching Food Fair Festival 2017 Entrance. 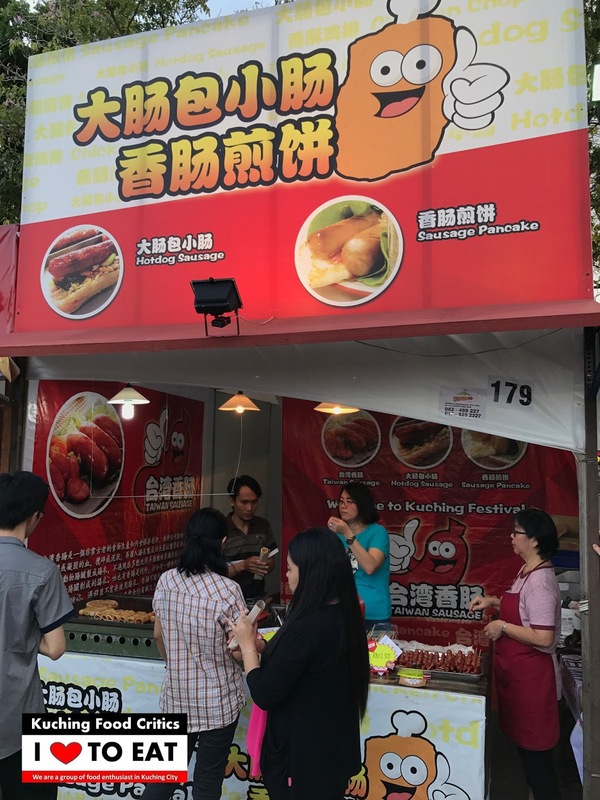 Selling all the Duck Meats & Spare parts. 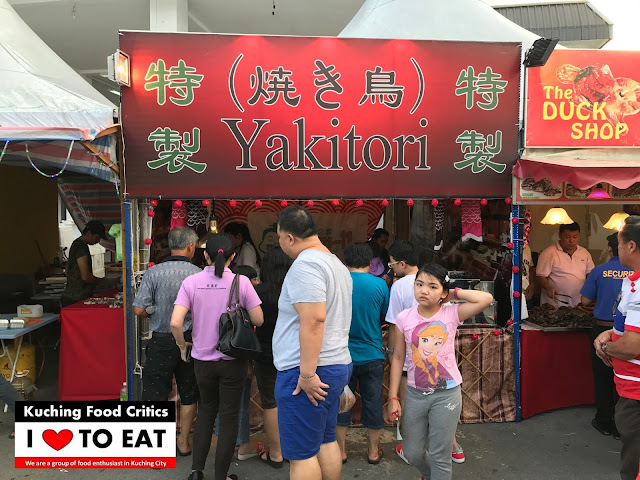 Many kinds of Yakitori - Scallop, Mini Octopus, Duck Meat and etc. 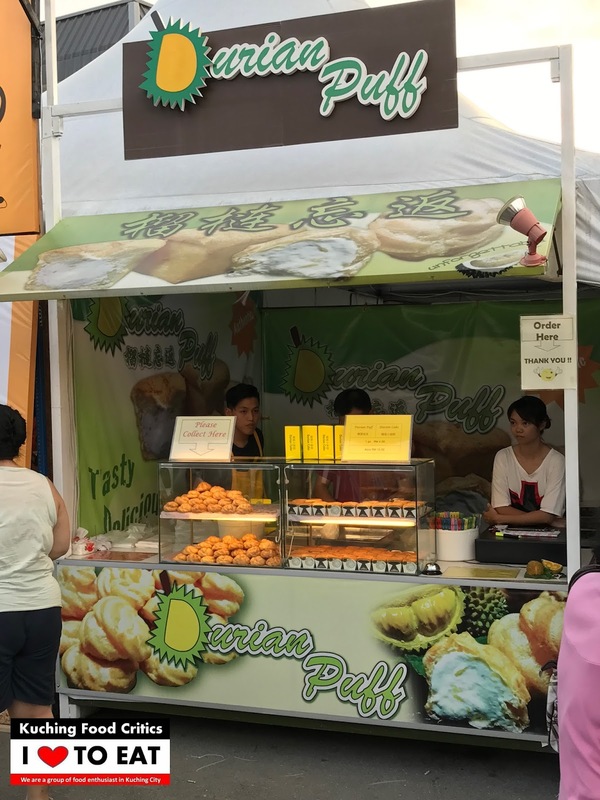 Available is Rice Dumplings, Sio Bee and etc..
Takoyaki Balls & Pancakes Stall. 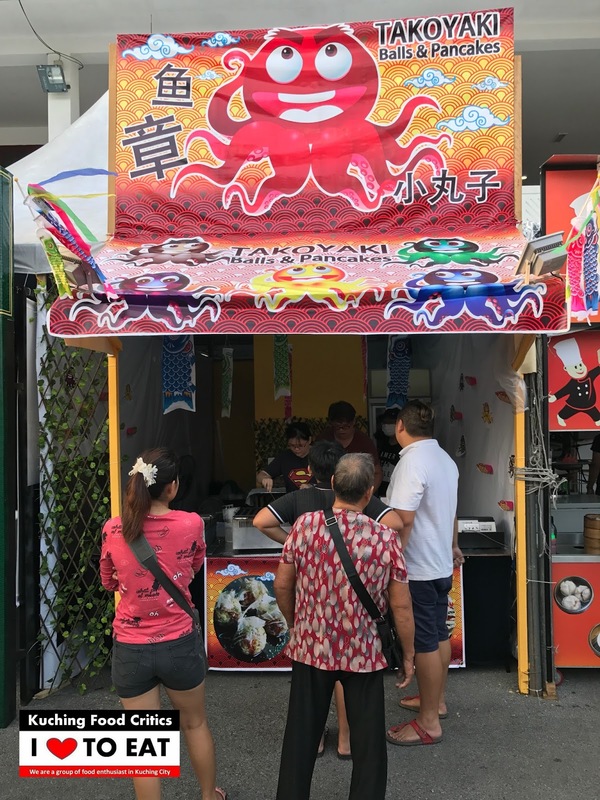 This is how they make Takoyaki Balls. 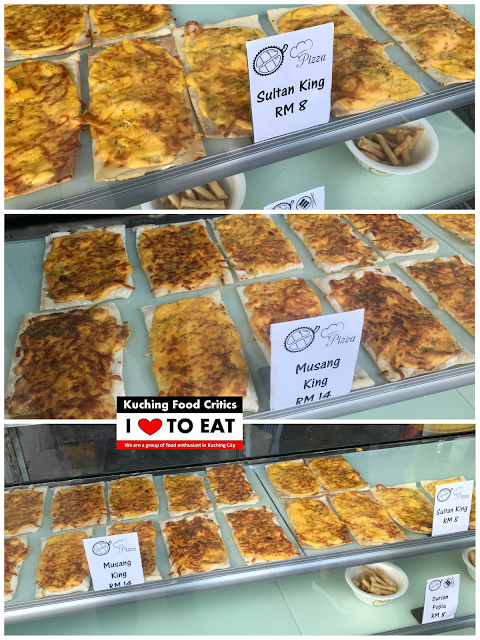 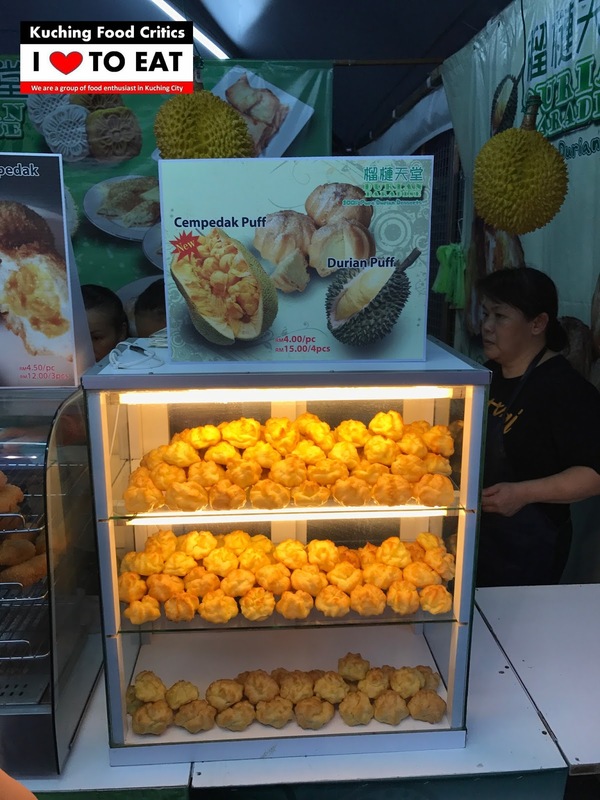 Also available is Laksa Sarawak, Fried Tofu, Curry Puff and etc..
All about Musang King Durian.
" 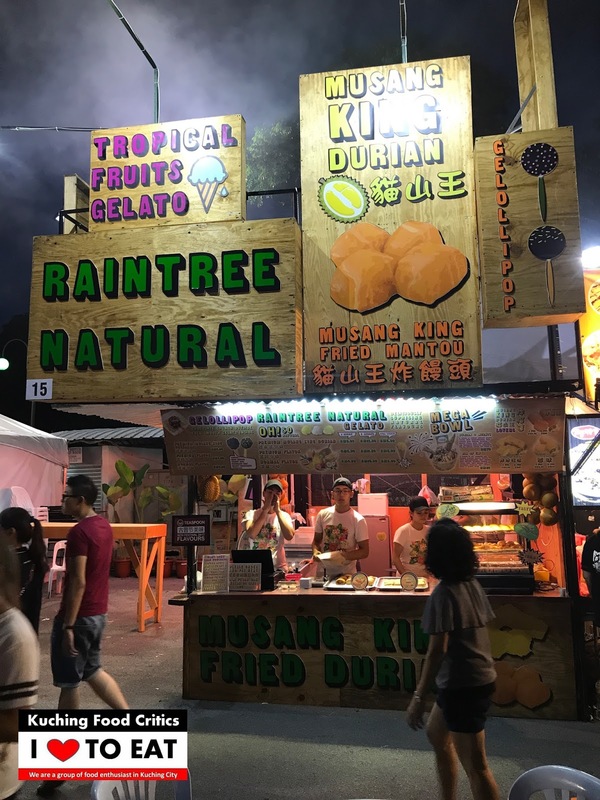 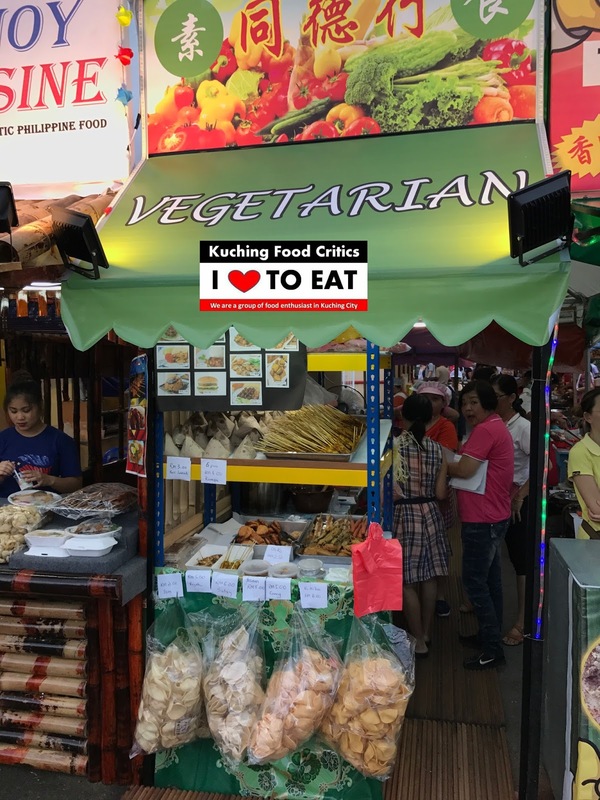 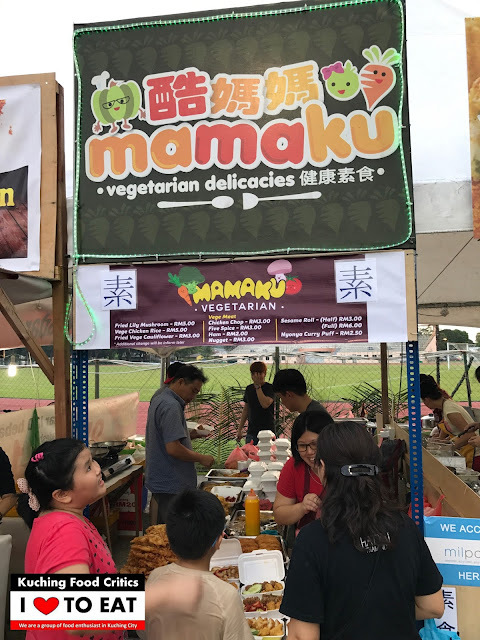 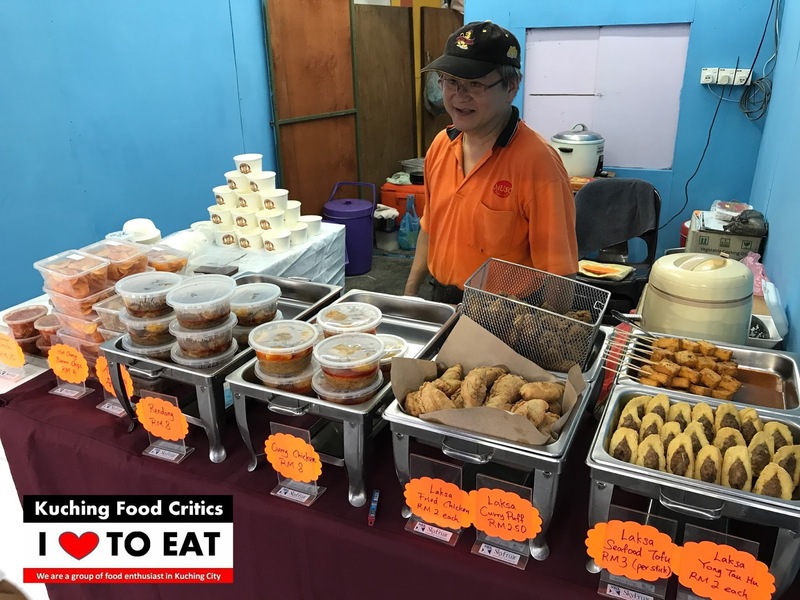 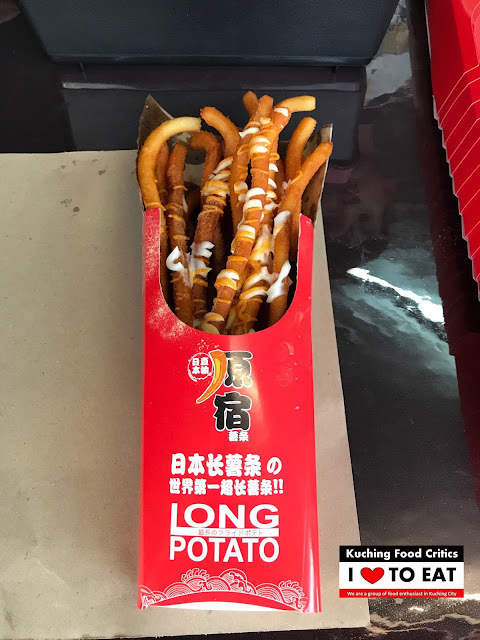 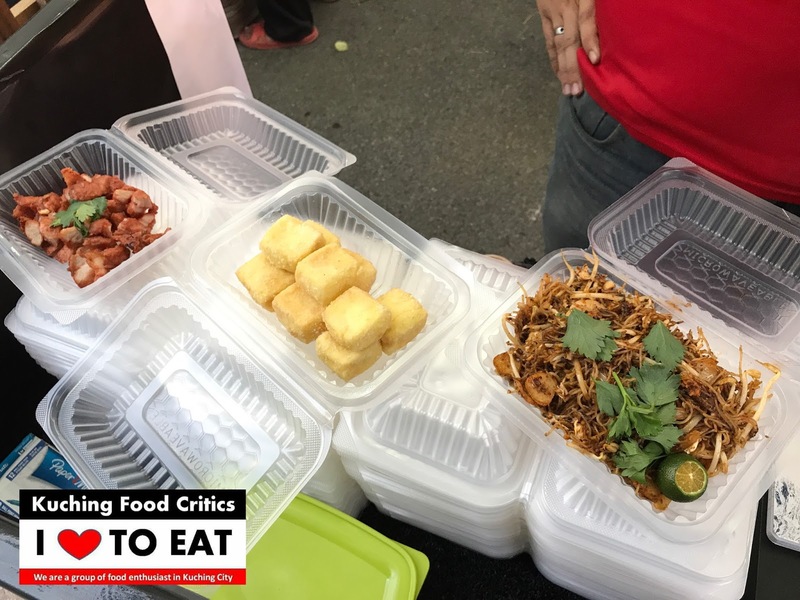 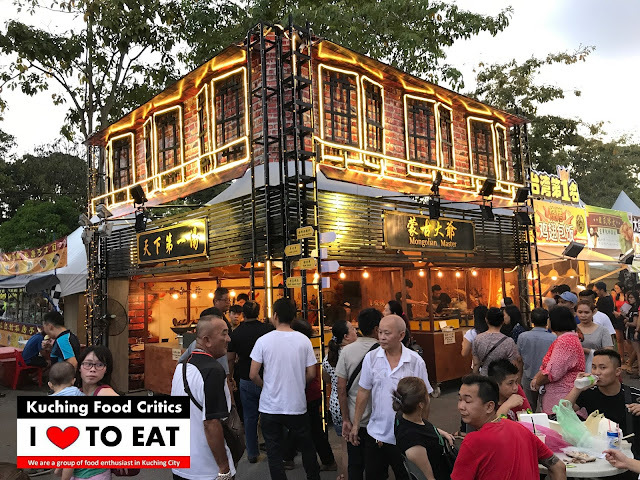 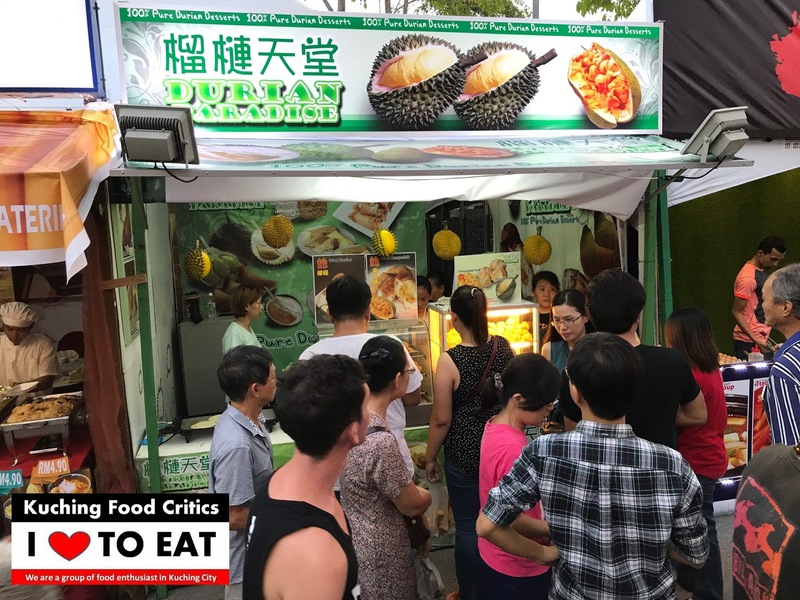 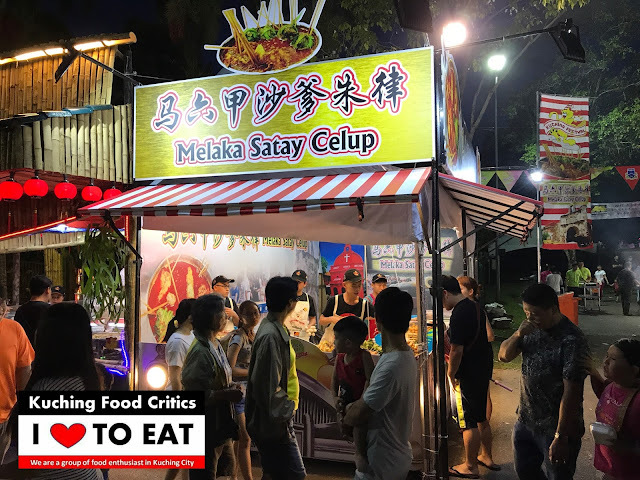 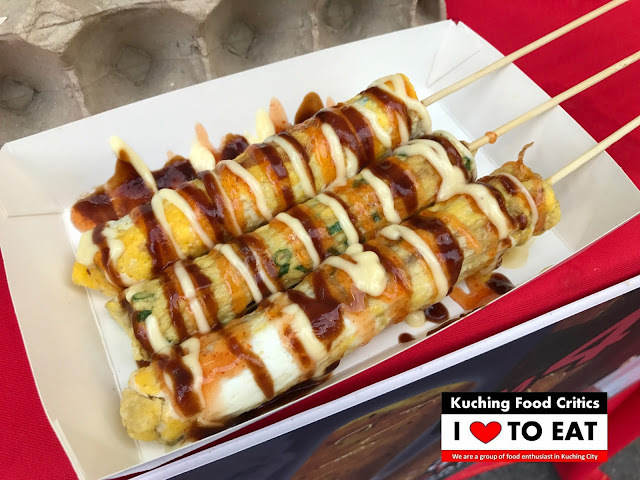 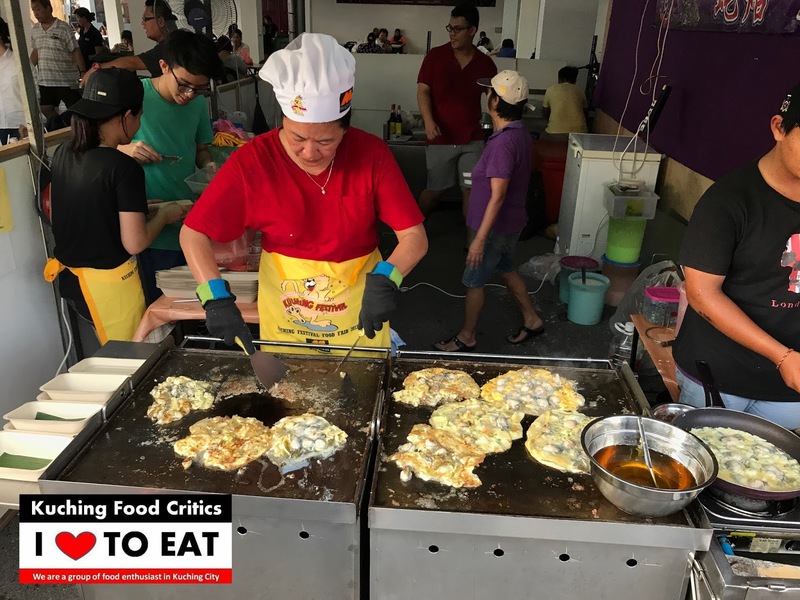 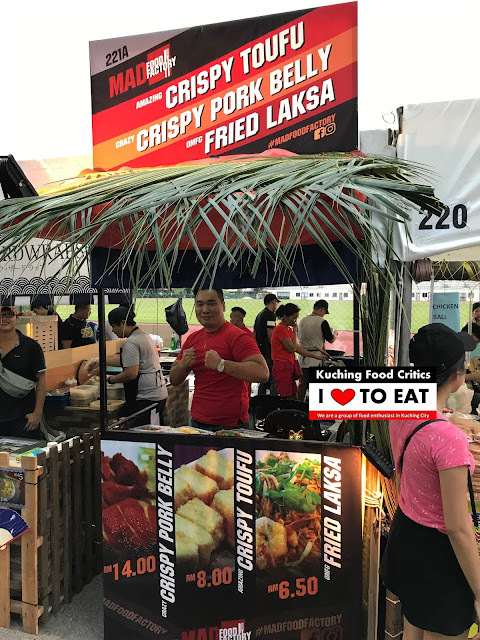 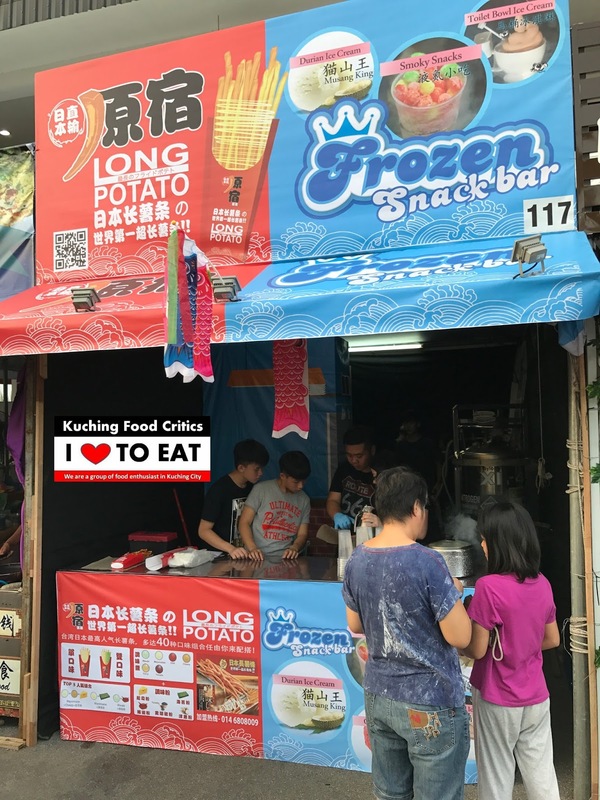 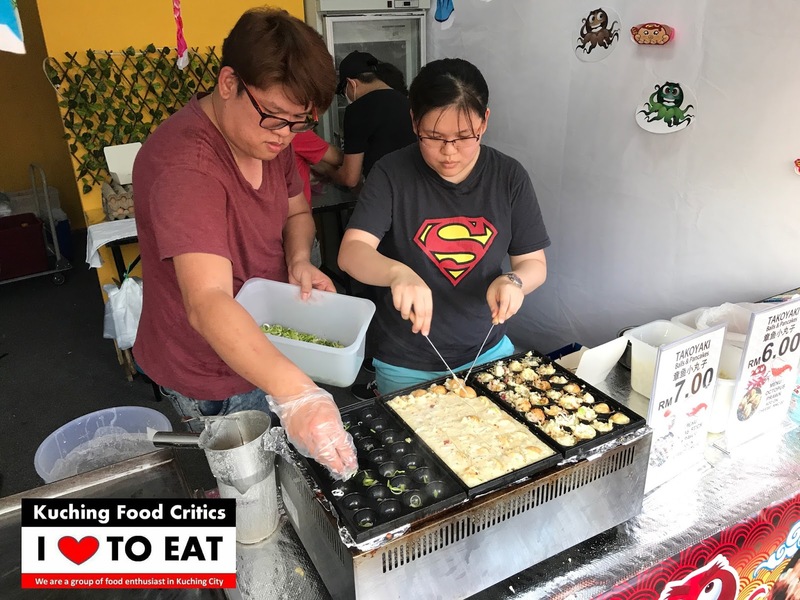 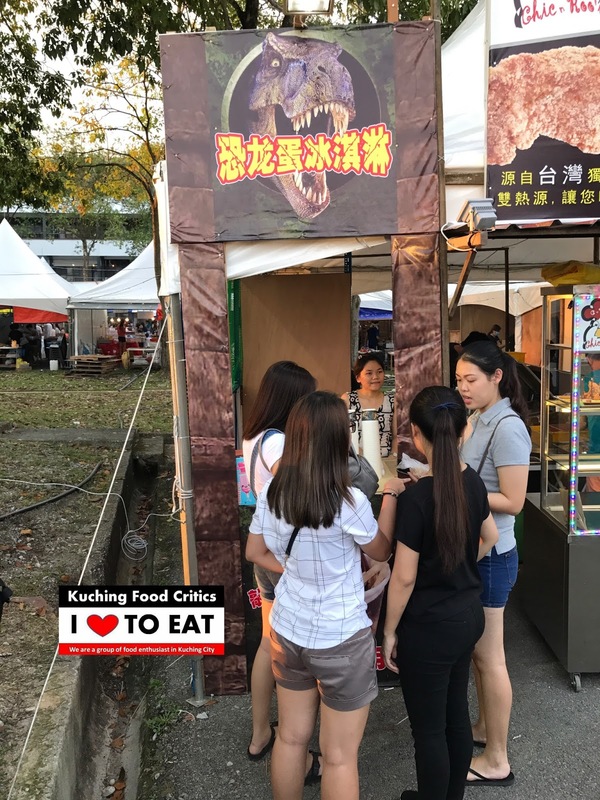 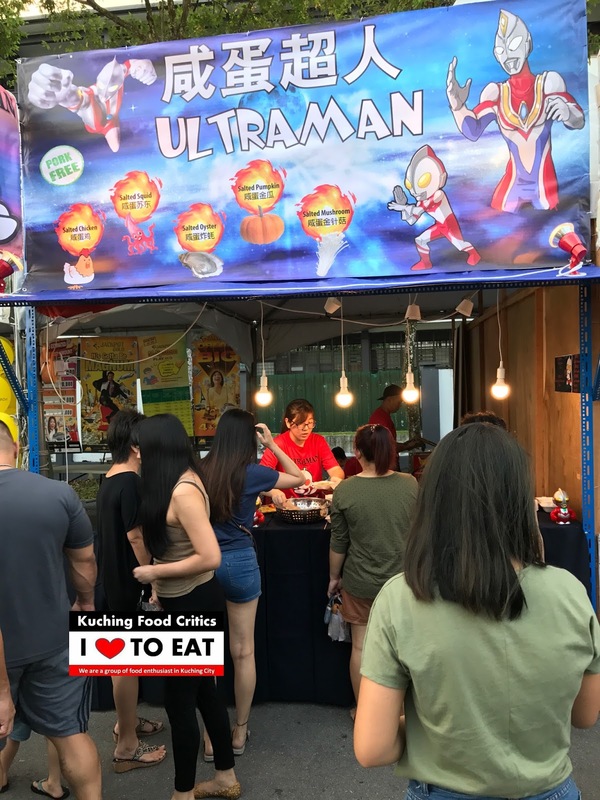 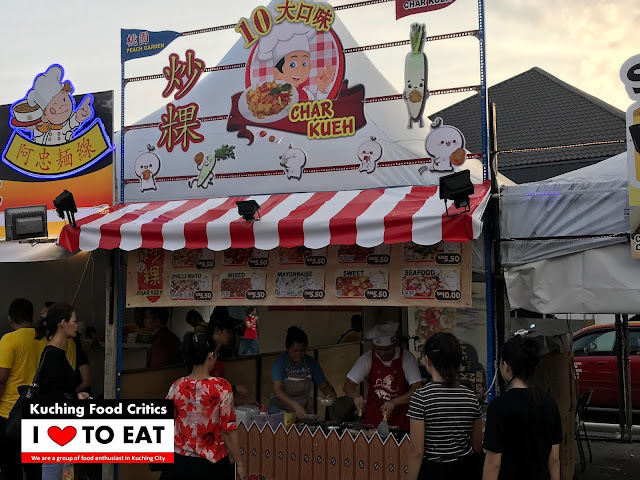 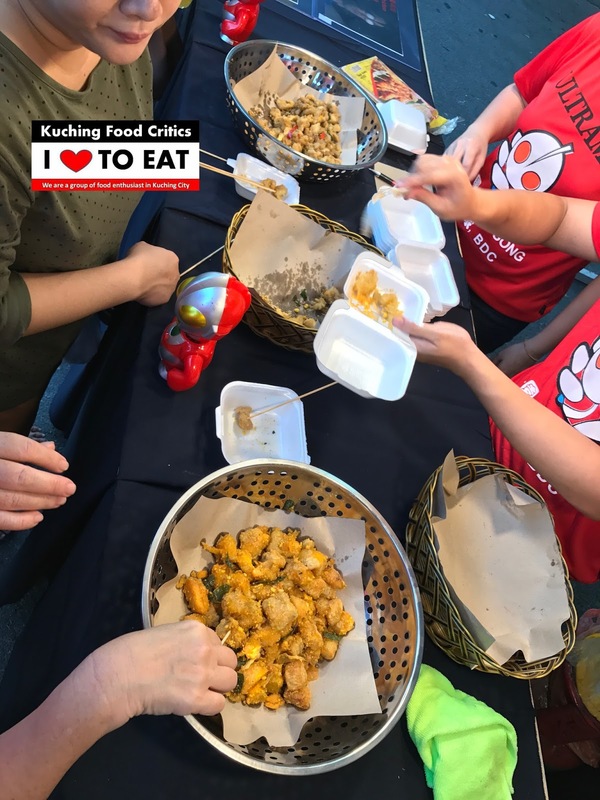 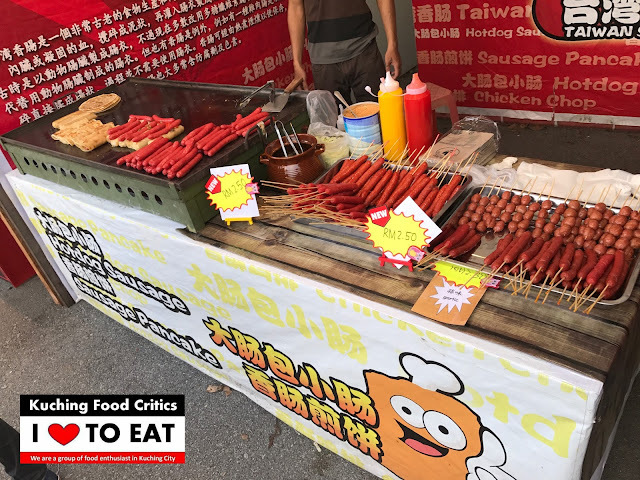 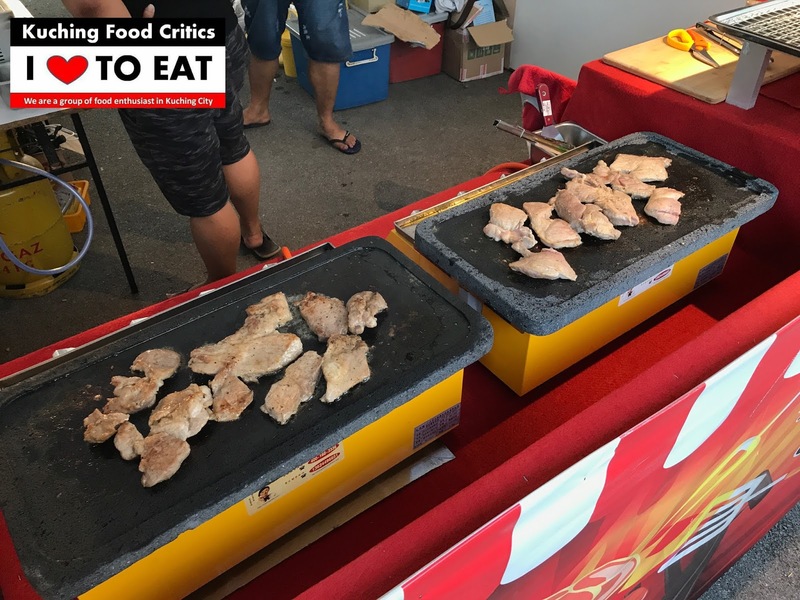 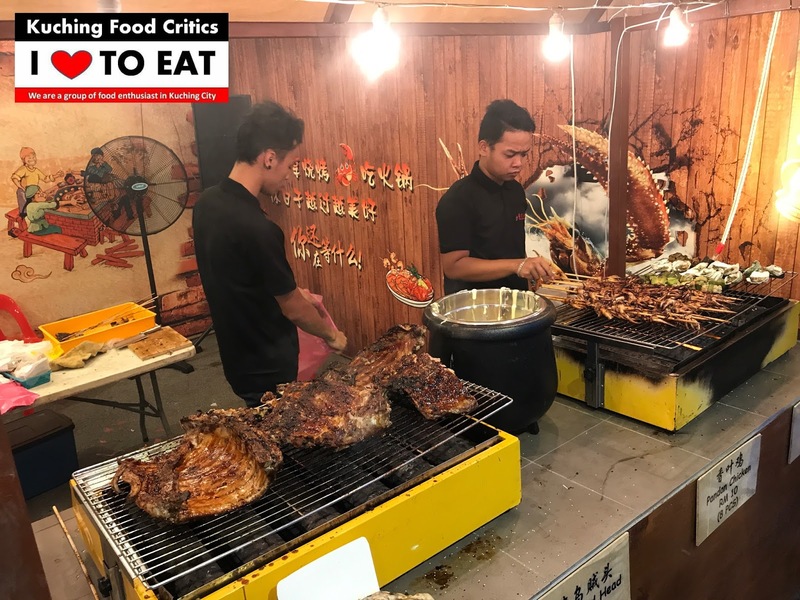 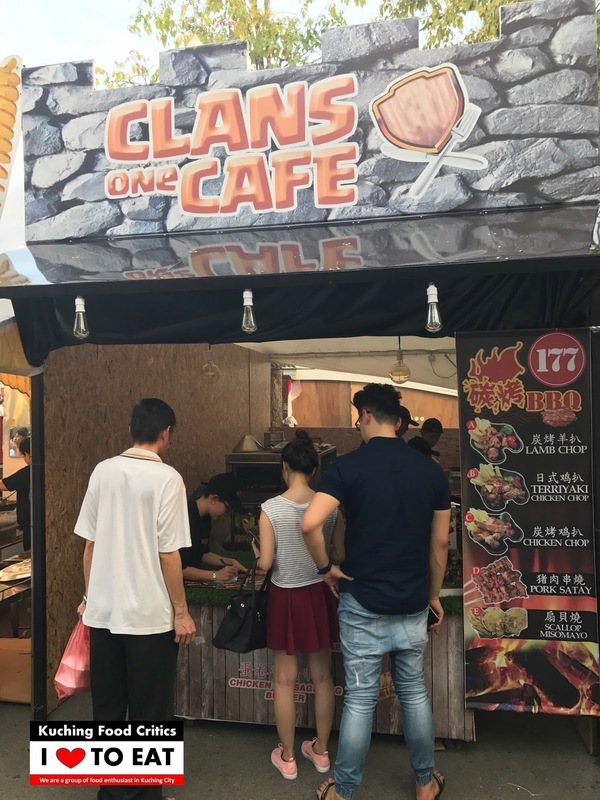 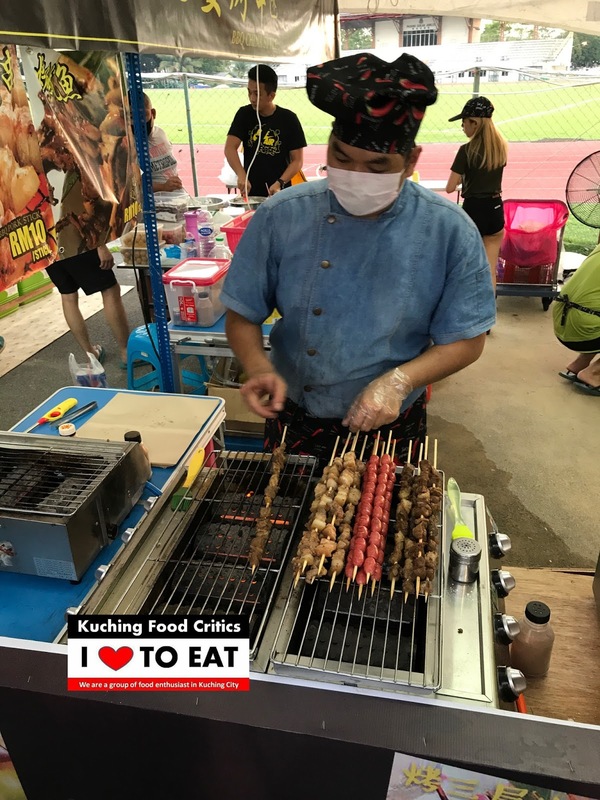 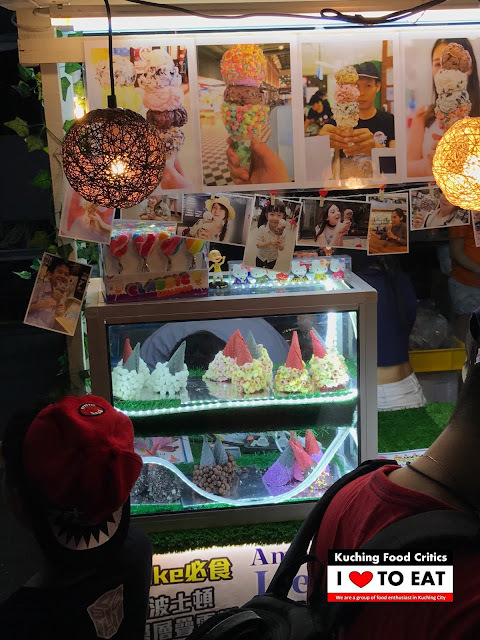 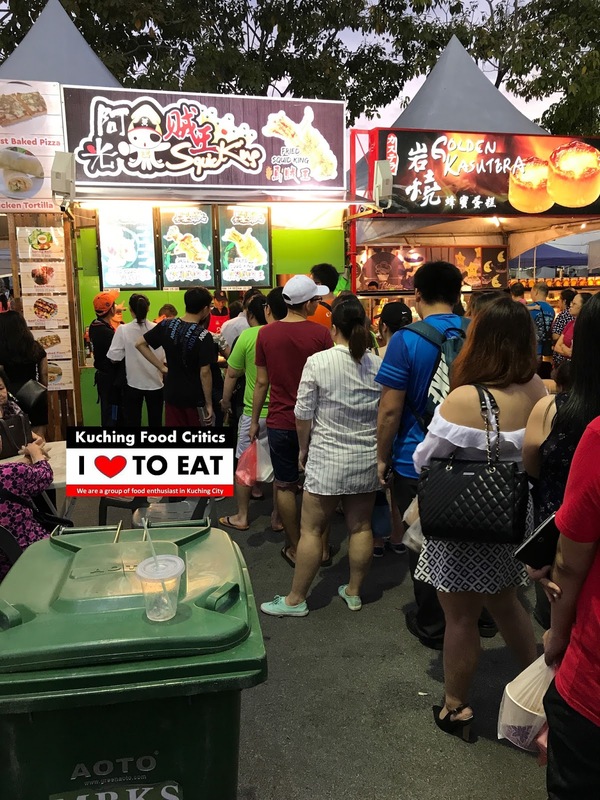 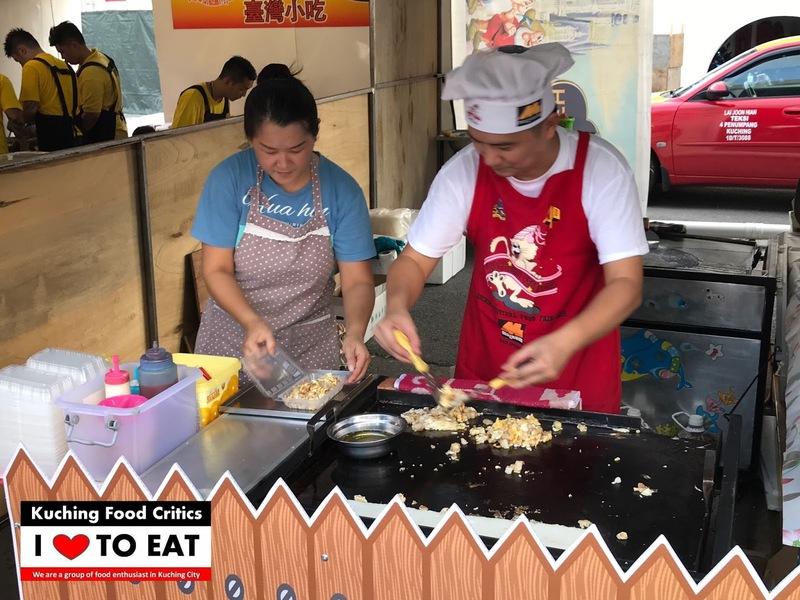 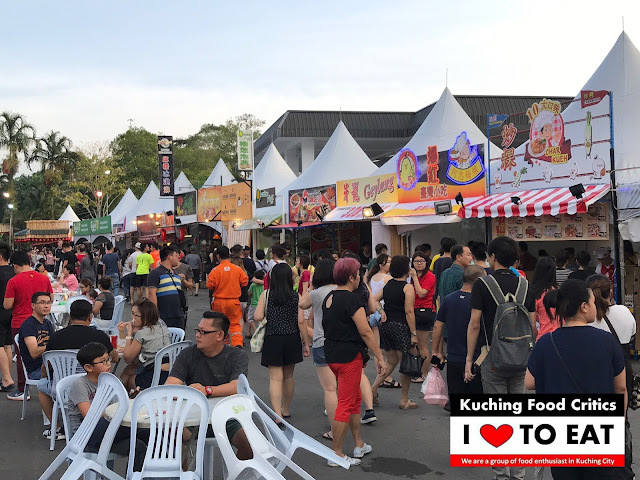 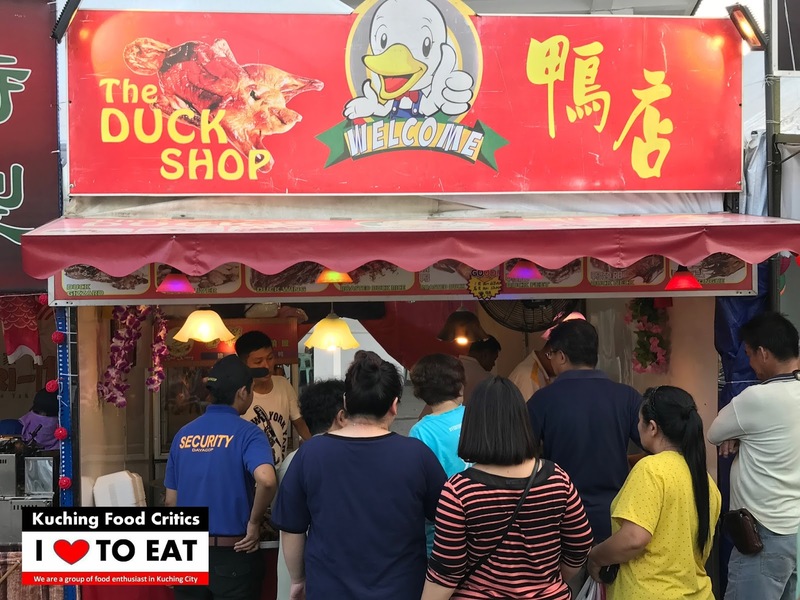 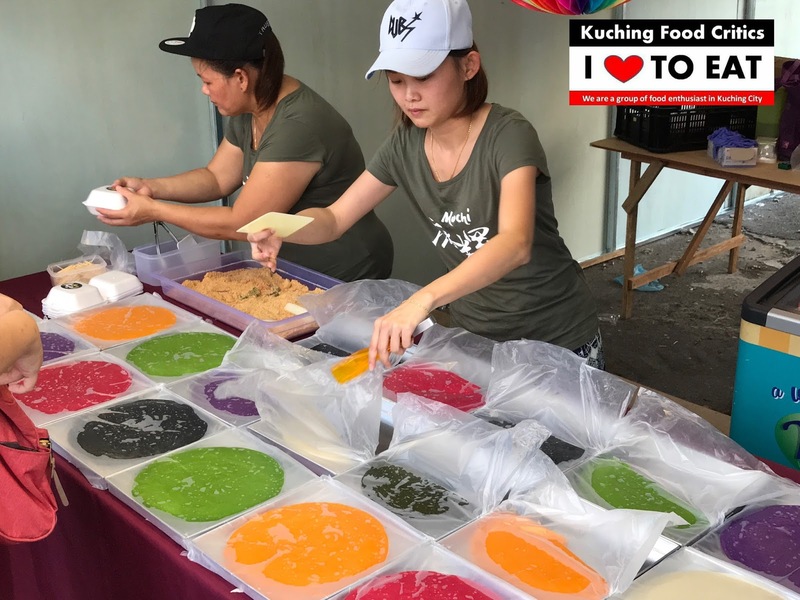 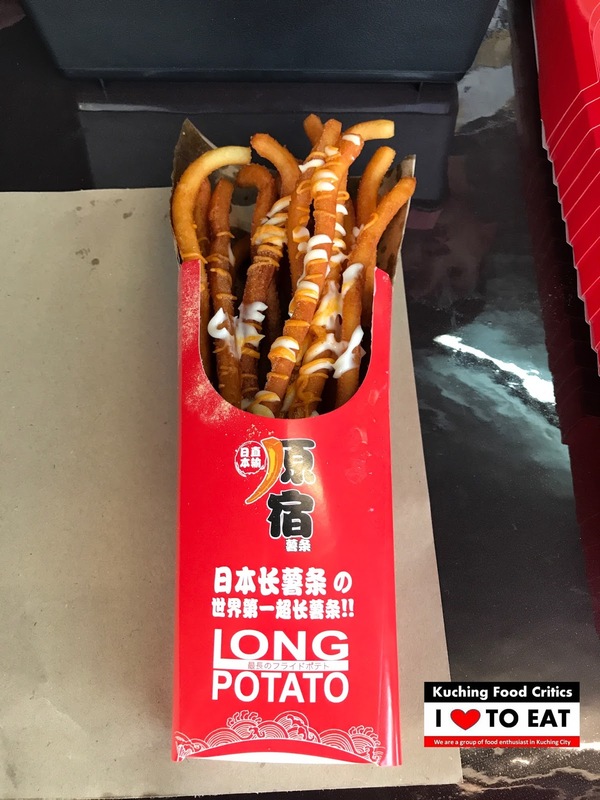 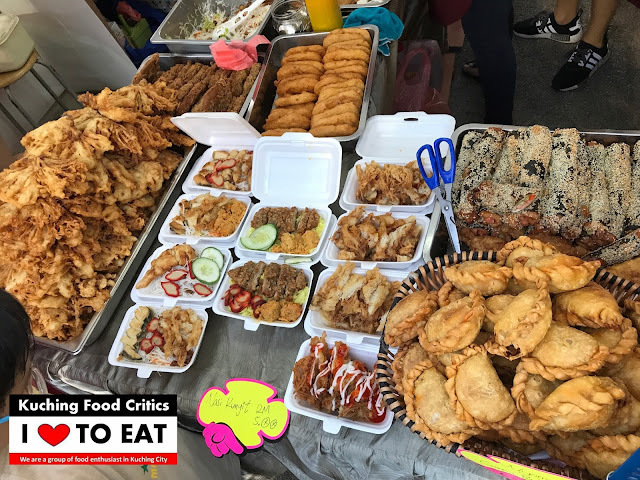 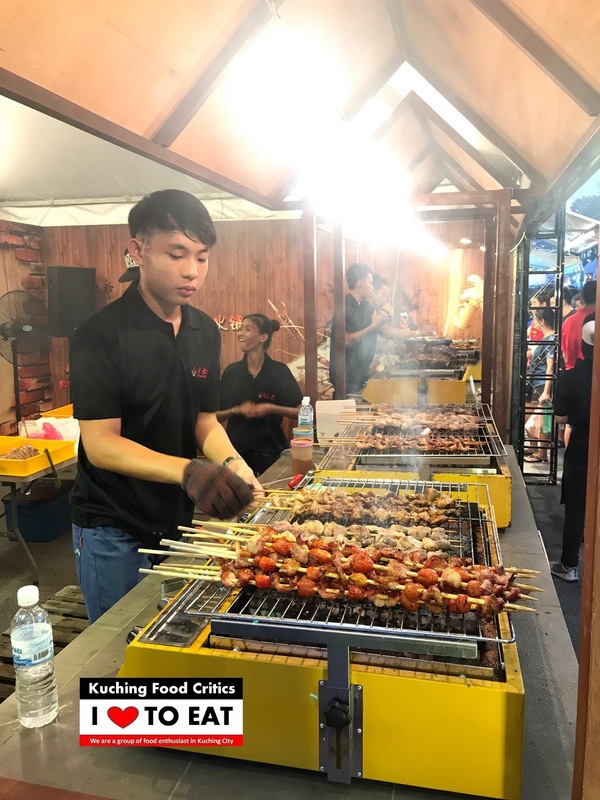 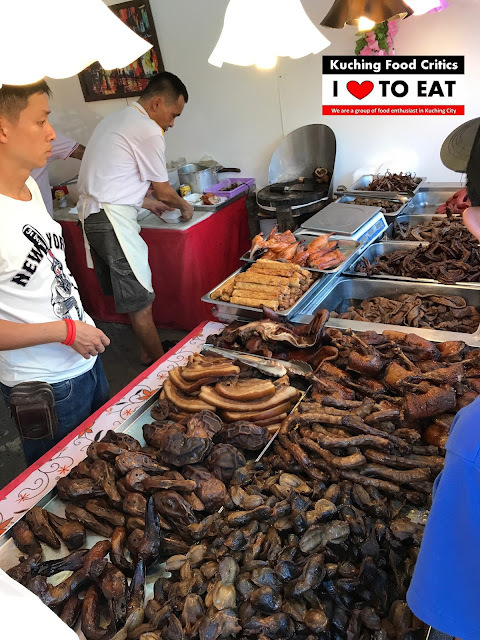 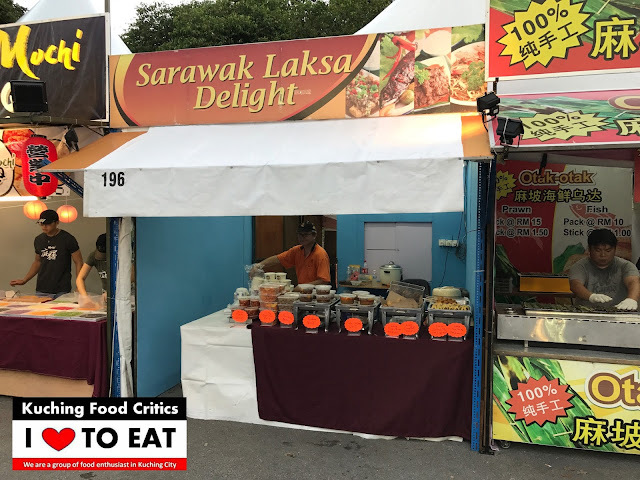 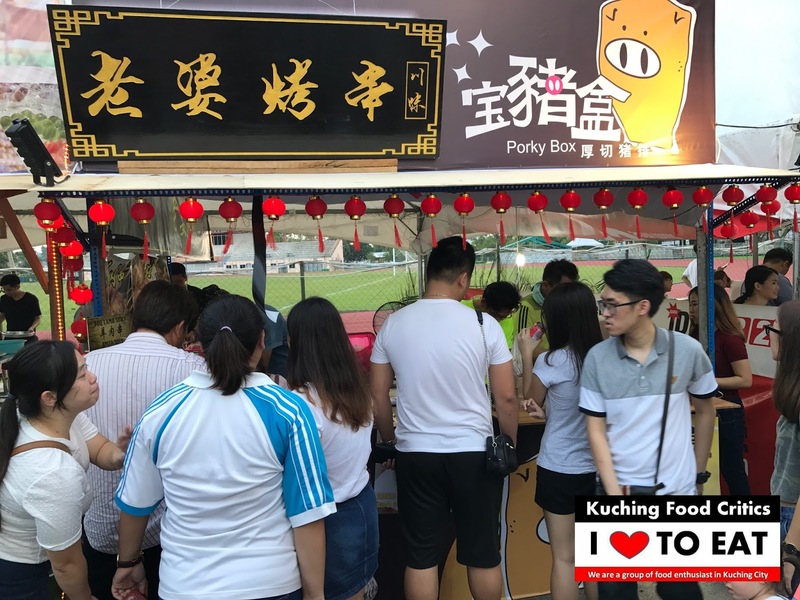 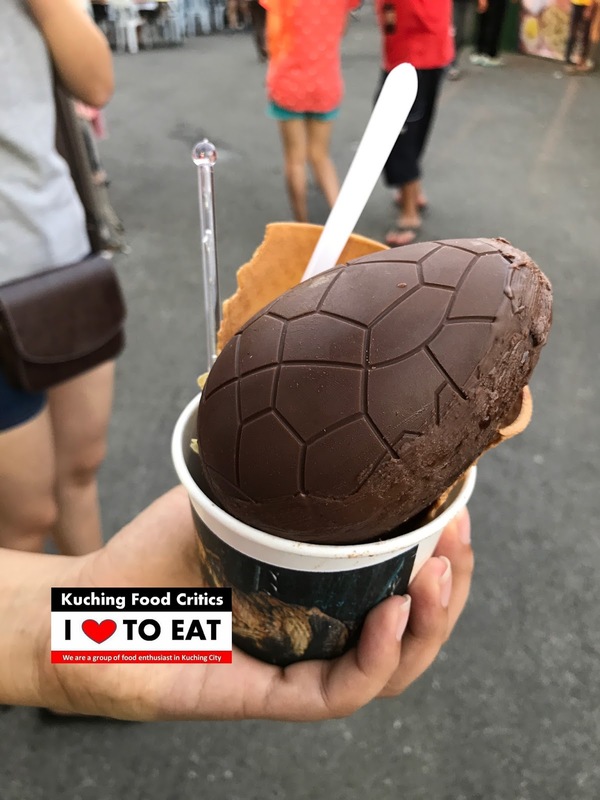 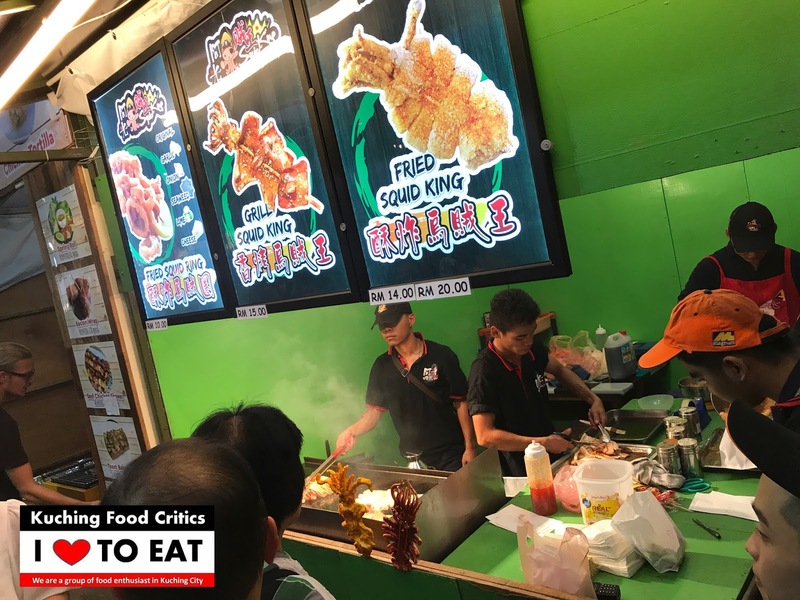 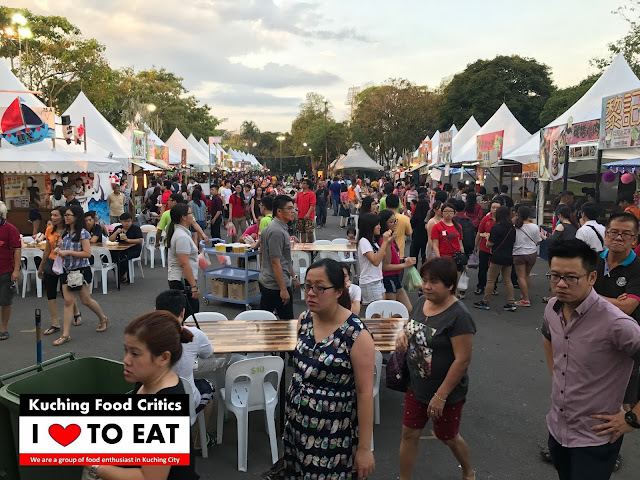 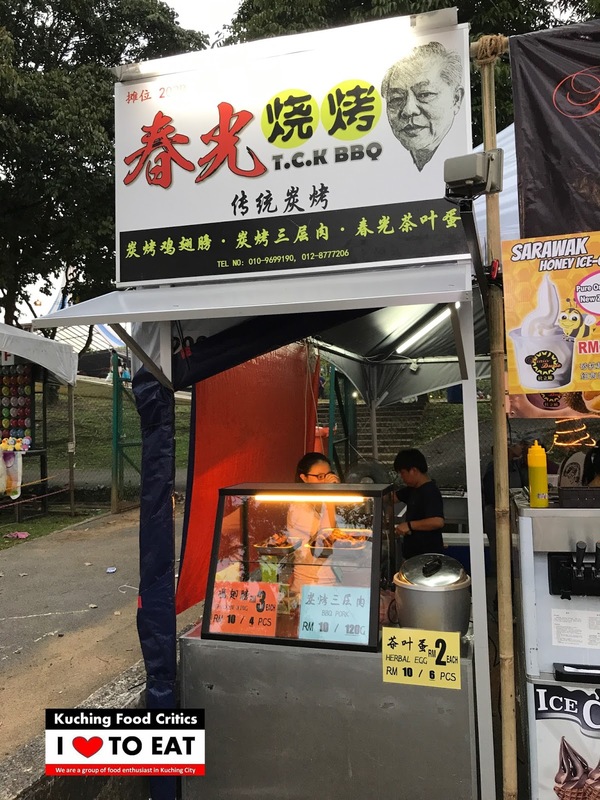 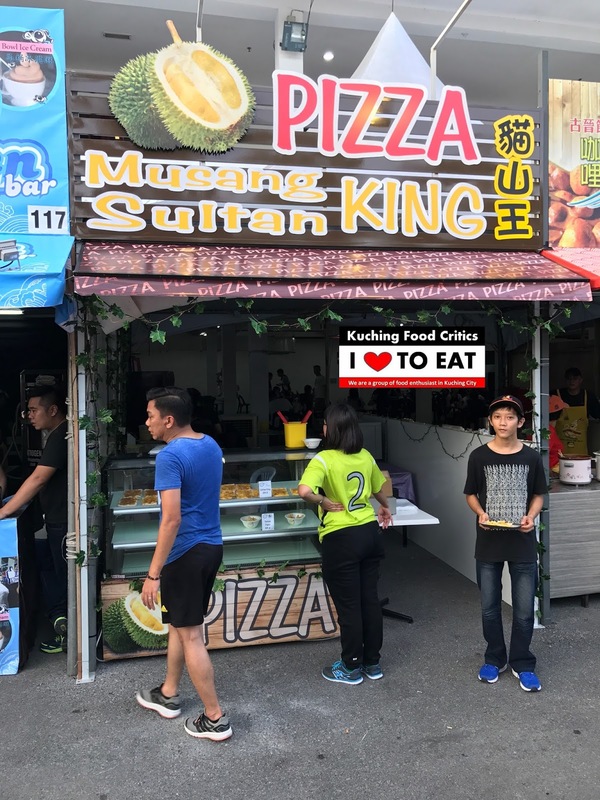 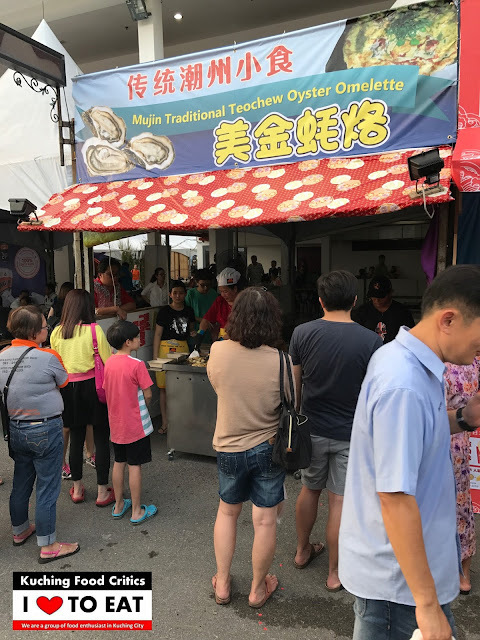 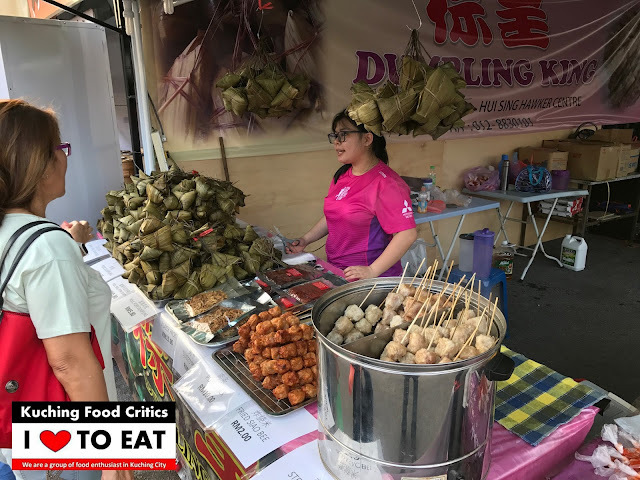 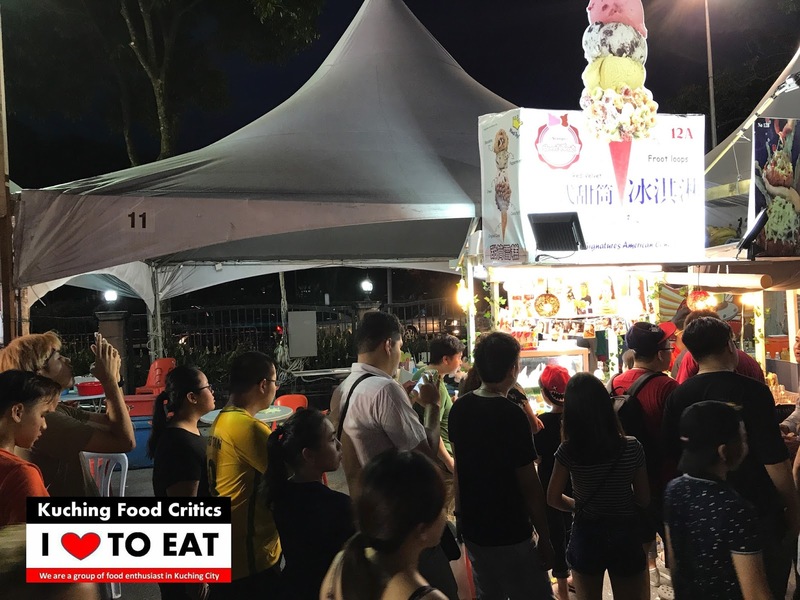 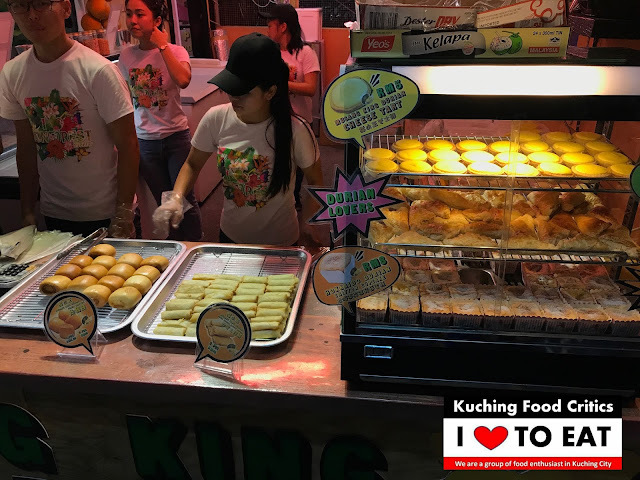 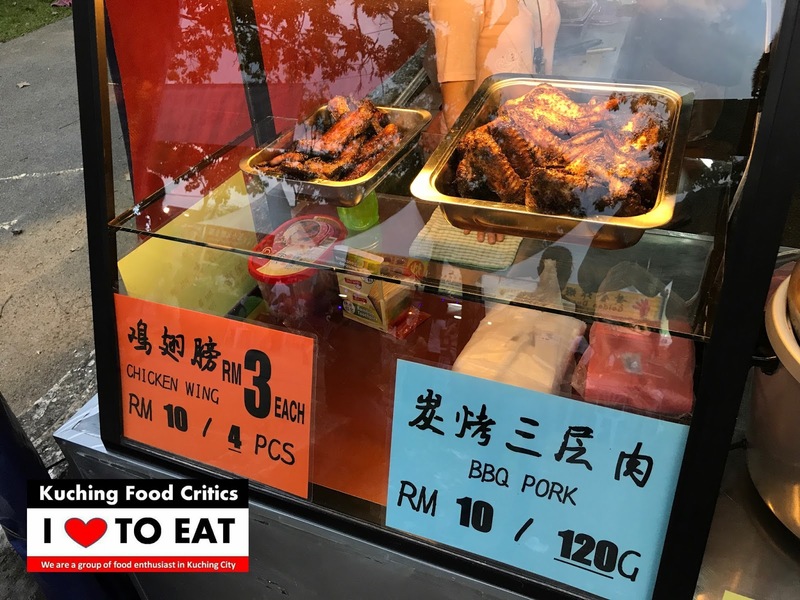 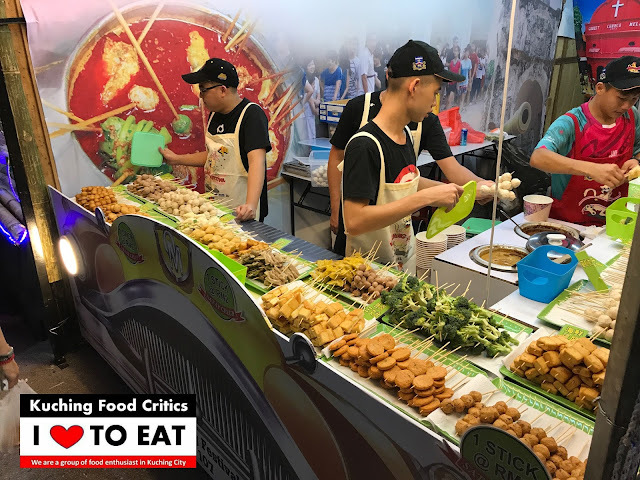 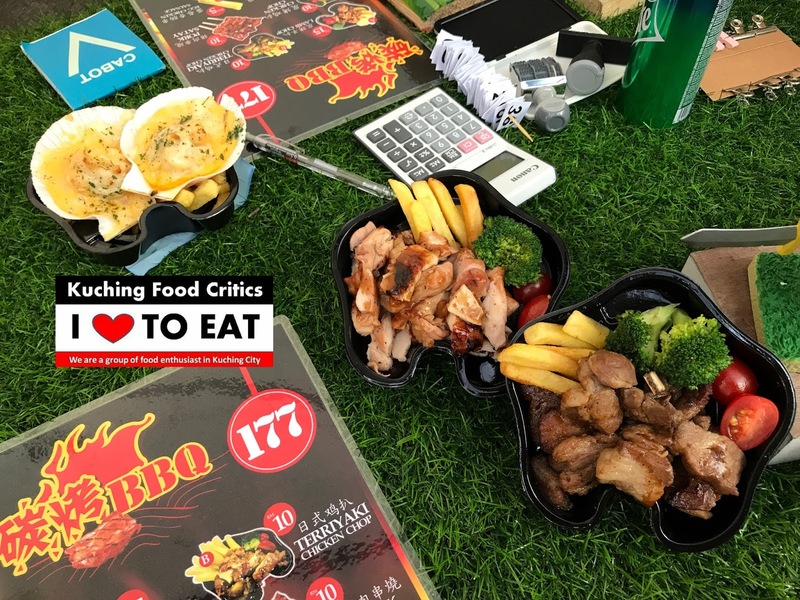 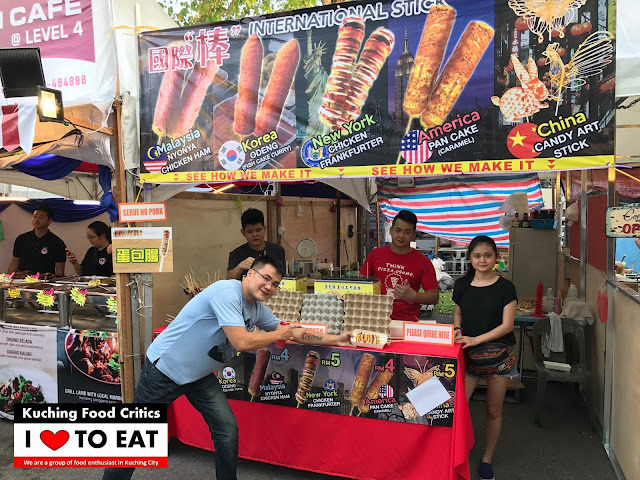 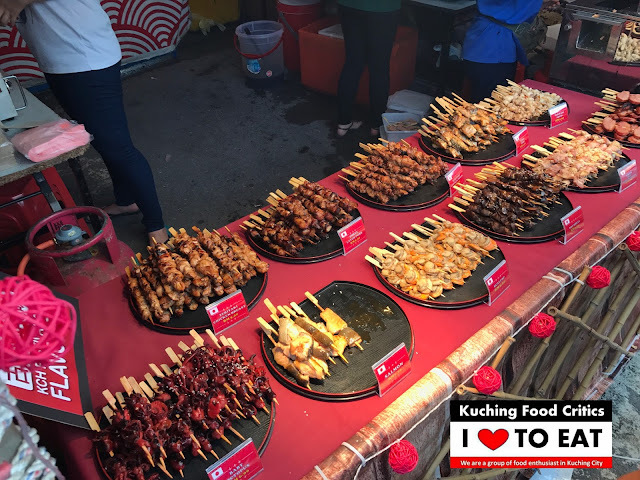 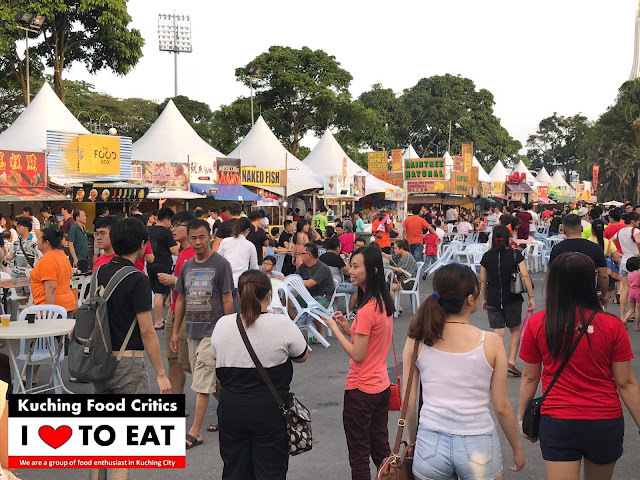 The Most Long Queue Food Stalls "
Kuching Food Fair Festival 2017 - New Food this year ?
" 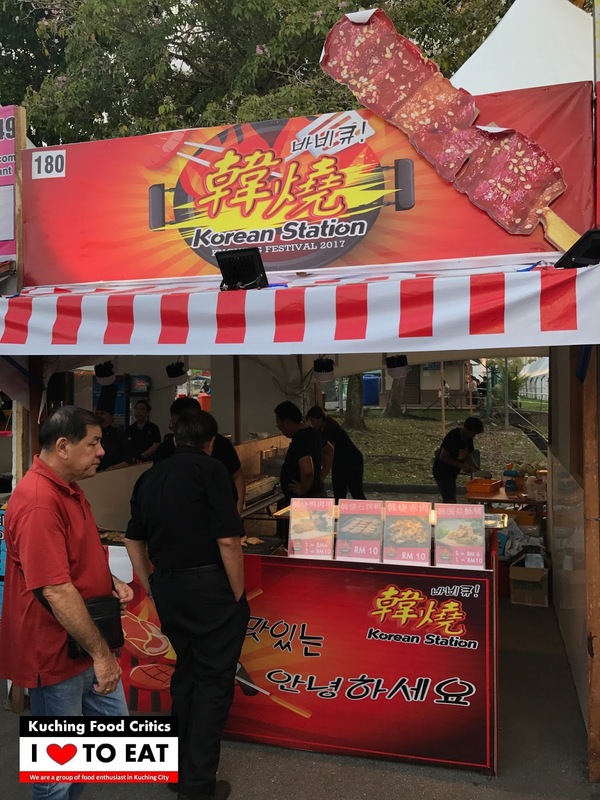 Something New This Year ? " 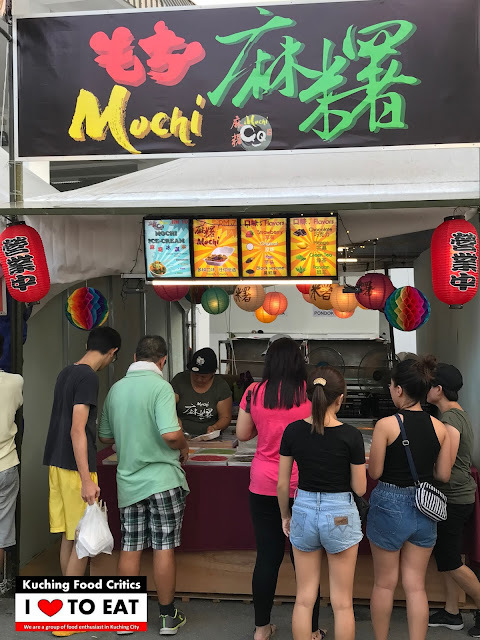 Taiwan Noodle @ Avenue Food Garden, Jalan Chawan.